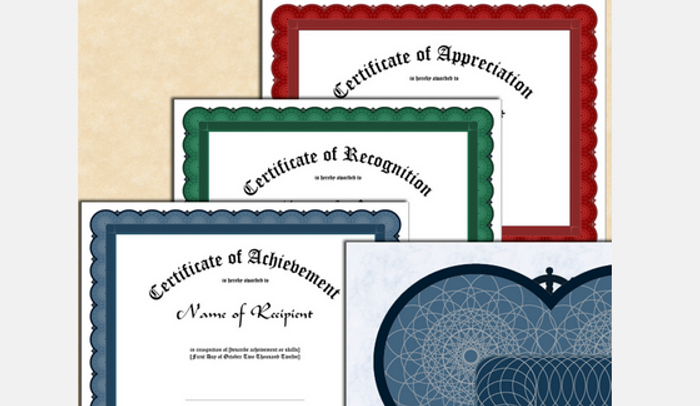 When it comes to designing an award program for your business, certificates are a great way to communicate training received and provide awards for excellent accomplishments. This inadvertently increases employee morale and inspiration. Initiatives that help to generate sales competitions, set team goals, and track progress with milestones will help to encourage future growth and motivation among your staff. With thousands of layouts and templates available on the web, the following InDesign certificate templates will make your search easier in getting started with printing and designing your own certificate. 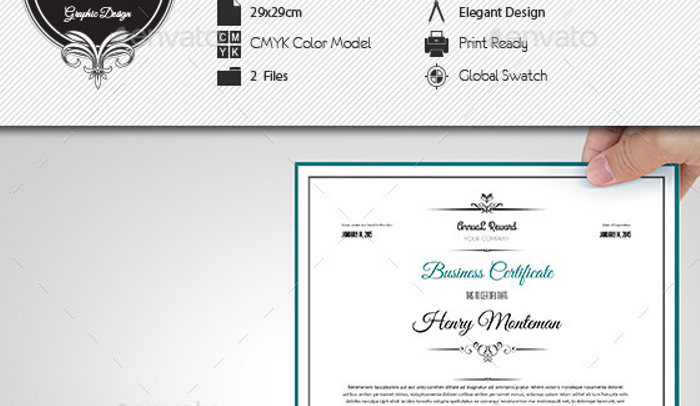 This certificate template is available in two styles, with one being like the image above. The second one is similar in design but includes different ornaments. Once downloaded, this file is fully editable and designed for a standard letter size page. Package includes INDD files for InDesign CS5+ and higher versions or IDML for CS4 users. Additional font files are not included since a standard font is incorporated within this template. The fonts used in this template are palatino linotype, arial rounded MT old, and edwardian script ITC. 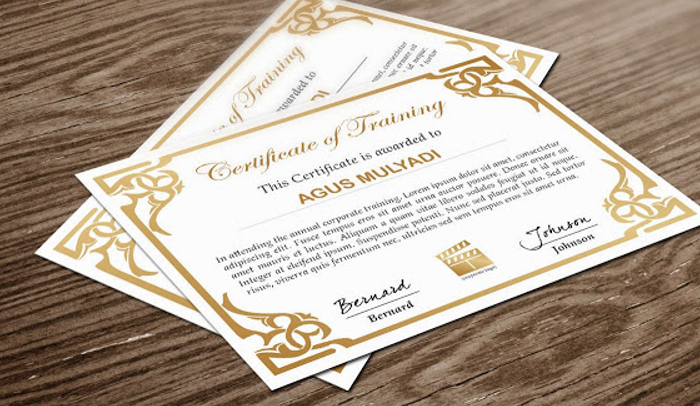 The following certificate templates for InDesign offer a perfect way to highlight the recipient of the award while signifying the special occasion of celebration. This template is compatible with Corel, InDesign, Word, and is available in .PDF formats. 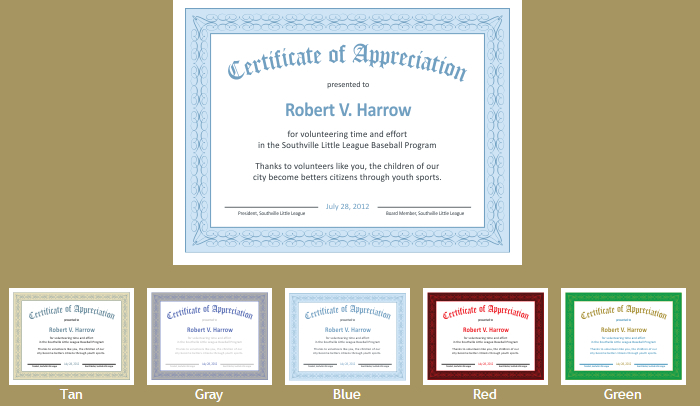 Easily printable on a standard US letter size sheet, this certificate can be downloaded in a variety of colors such as tan, gray, blue, red, green, and blue to match your special event. Choose from more than four border designs or opt for just a blank border. Visit Desktop Pub for several options for traditional style certificate templates available in red, green and blue. This site is also accompanied by several simple steps you can follow to easily download, create, and print your certificate. Simply personalize the image by adding the name and description before printing on plain paper. 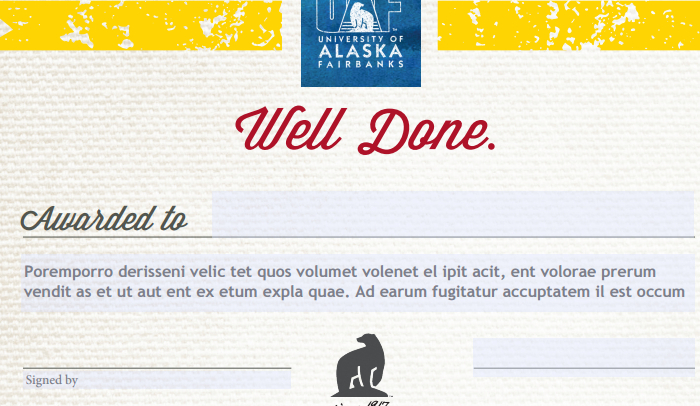 At UAF, a variety of certificates designed for a standard US letter size are made available on their site. These are focused on congratulations, a job well done, and certificate of recognition. Download as a .pdf or open in Adobe InDesign to customize and edit to your desired look. For those looking for a non standard size such as a square certificate template, Graphic River has many options available, including the above template. Many of the available files contain elegant designs and variations made to suit your individual event or cause. Multiple files are included for ease in accessibility. This template is measured at 29x29cm and allows for color to be changed along with the necessary text.